All you have to do to see these costumes is set your Switch internal clock to Halloween! Thanks to CarefreeCaptain for the heads up! Did this just spoil the Cave Story announcement that was being teased earlier today? I doubt it since Nicalis retweeted it. I thought it was the announcement that 25 random physical copies were signed by Pixel. Oh crap! I thought this was the announcement. It just might be Still very cool. Some Halloween stuff, but not the Nintendo-themed costumes. The Nintendo outfits are the Halloween costumes. So... 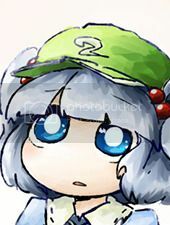 I keep hearing about Cave Story... but don&apos;t have it. What kind of game is it? Metroidvania. It&apos;s considered to be one of the best of the genre. And the Switch version is the definitive one, except it doesn&apos;t have the original graphics (the Wii and PC versions let you choose between the original and Wii style graphics). Cave Story is a game developed by Daisuke Amaya aka Pixel and it took five years to make it. You start out as a silent guy who is lost in a cave. As you make progress, the guy meets up with various people within the cave and learns about things that are happening inside the cave hence the title Cave Story. The game is one of my favourite games of all time and one of the best freeware games ever made. But despite that, I&apos;m not someone who will buy multiple ports of a game that you can easily get it for free(trust me, its legal) And personally, I prefer the original game as the original is far better and feels more nostalgic than the constant remakes. If you want to try it out, I suggest getting the freeware version. Sure, you&apos;ll miss out additional content that the remakes offer but considering that its a game that was made free and if you&apos;re someone who judges a game by its first trailers/impressions, its worth getting the free one. I cannot express enough of how amazing the game is..
Eh. I love Cave Story and all but I prefer the original.